Like many cinema buff FTIIians, I was eagerly waiting for the release of ‘My Friend Pinto’. I managed to see the film in the 2nd week of its release but before that had already got varied reactions from friends who had already seen it. Now it’s unfortunate but true that listening to other people’s reaction we invariably form a certain opinion in our head even before watching the film. I saw the film with many such opinions in my head but by the end of it, quite liked it. The film has generated extreme reactions. Some have been positive and very encouraging while others have been bitterly negative. 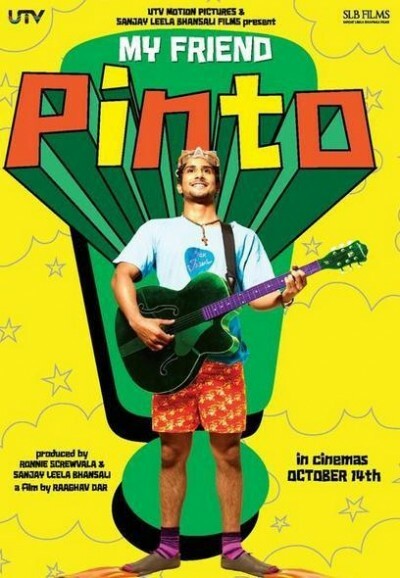 The idea behind the character of Pinto came from there. Lot of people felt the character to be childish and naïve but I think he is innocent and endearing. The story which revolves around a night where Pinto who is visiting Mumbai encounters many colorful characters, entangled in myriad intricacies of their own lives. For every script that is made into a film there are many that have been rejected, stalled, canned or awaiting release since time immemorial. So it’s a big thing for a script which has finally been made into a film and released. Even if it is not perfect, remember it not the last, there are many bigger and better coming. Thanx! Hope to catch it in Bangalore.